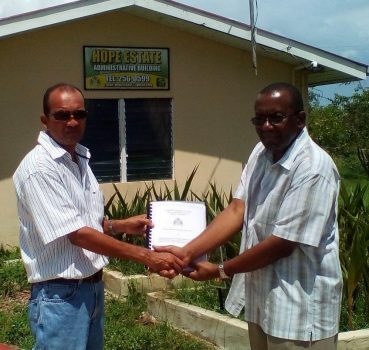 A contract was yesterday signed between General Manager of Hope Coconut Industries Limited (HCIL) (Hope Estate), Ricky opchand and Ivor Allen for two bridges to the tune of $2.6M. The contract which will be completed over a 30-day period, will see the reconstruction of the two existing bridges at the Estate, a release from the Ministry of Agriculture said. According to the General Manager, the works form part of the Estate’s improvement of infrastructure. 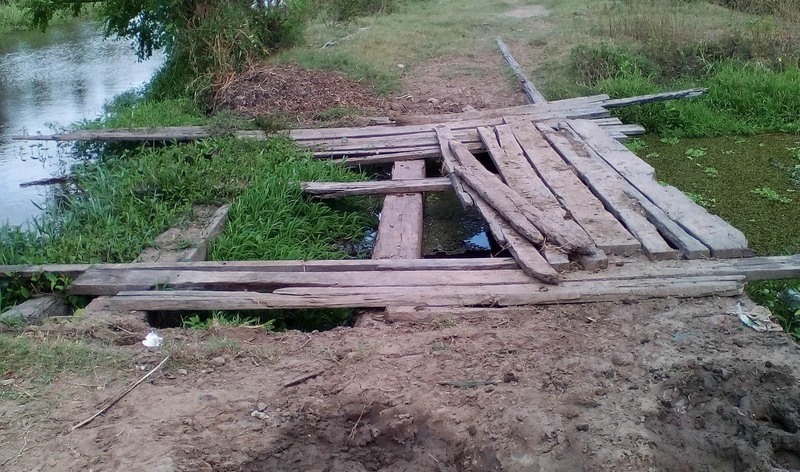 “The current existing bridges were neglected over the years, as a result of both poor maintenance and financial constraints”, Roopchand said. “As part of Government’s revitalization of its coconut industry, the Hope Coconut estate with support from NAREI and CARDI is working on expanding not only the bed but the introduction of new varieties of coconut seedlings,” Roopchand added. Ricky Roopchand, General Manager, Hope Estate (left) and the contractor, Ivor Allen. Allen in an invited comment said “Our main priority is ensuring that (the) work of Hope Estate is not stymied, hence the move to ensure that we have all works completed and in a timely manner,” he said. In addition to work, the release said that Management of Hope Estate has been working to ensure that farmers have access to high-quality seedlings. As such, the Estate is now in a better position to supply over 1,000 coconut seedlings weekly to farmers. Earlier this year, with support from CARDI the Estate’s capacity, was boosted. “Already we have coconut beds completed and the capacity to produce 50,000 coconut seedlings per year. In addition to this, a coconut germplasm has already been established at the Estate to augment our already existing work,” Roopchand said. Works are also being undertaken on a 36 acres coconut demonstration plot which will be used both as a model farm and training facility for coconut farmers.